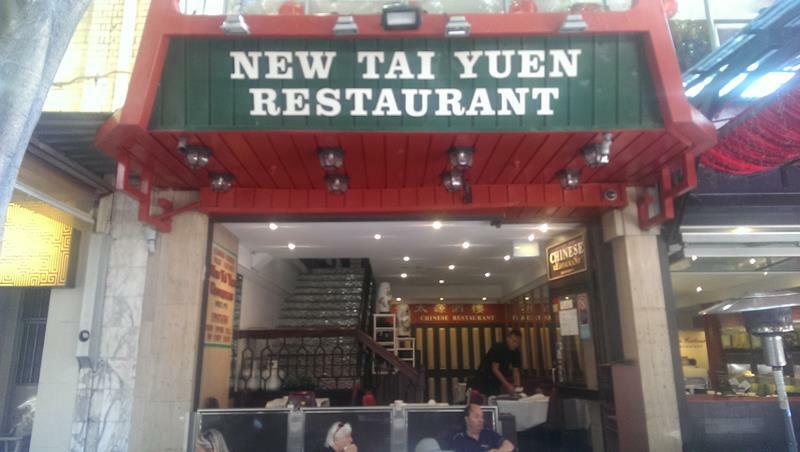 New Tai Yuen Chinese Restaurant is located right in the heart of Sydney's Chinatown on Dixon Street, just down from the main Chinese gate entrance to Chinatown. New Tai Yuen Restaurant serves up Cantonese food including Yum Cha at lunch time or a full al a carte Chinese menu for lunch and dinner. They have lunch specials through the week. For the yum cha they have a dim sum menu to choose the dishes you would like to eat. 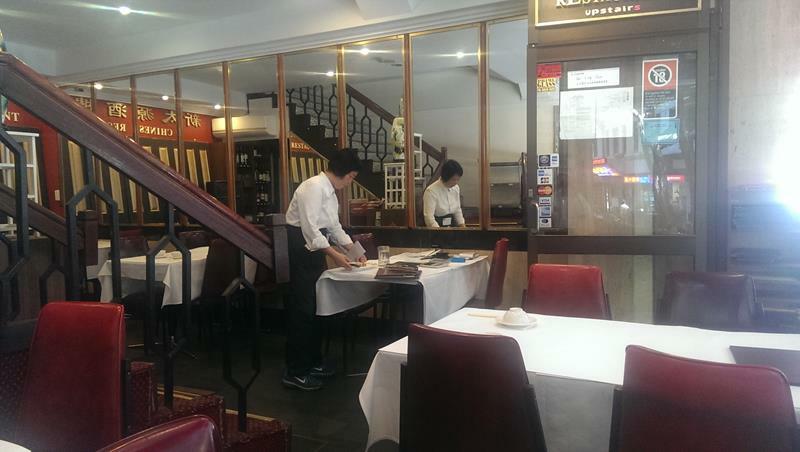 There are no yum cha trolleys coming around the restaurant like in other Yum Cha restaurants in Chinatown. 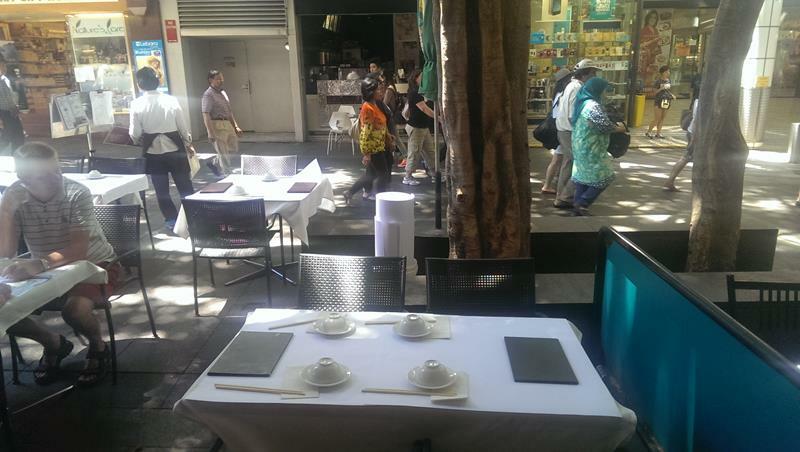 New Tai Yuen Chinese Restaurant has dining tables at street level out the front of restaurant on Dixon Street or there is inside dining area over looking the outdoor dining on the ground level or a large dining area upstairs. They have a full wine menu serving Australian wines or a selection of local or imported beers including the Chinese beer Tsing Tao. I had been in a few times for dinner at New Tai Yuen a few times many years ago. I was walking past at lunch time looking for some yum cha and the guy out the front asked if I wanted yum cha lunch. Yes I do I replied and grabbed a table inside right at the front to eat and watch the people walk up and down Dixon Street. 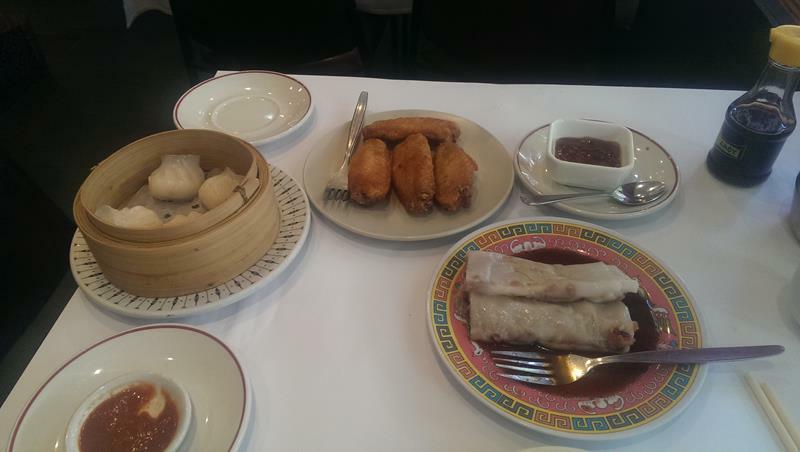 A nice waitress gave me the standard Chinese menu at first and I asked for the yum cha menu which the brought over. On the menu each item has a photo of the Yum Cha dish. 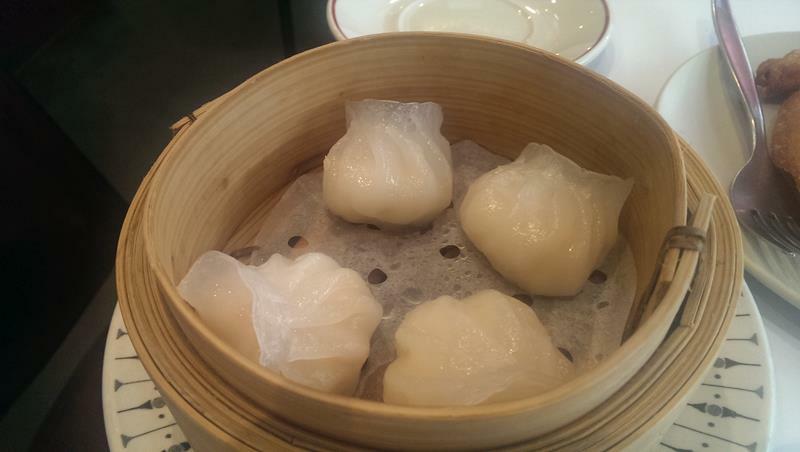 I ordered some of my favourite yum cha dishes - steamed BBQ pork buns, rice noodles with pork and the steamed prawn dumplings. The lady then said what about some crispy chicken wings, they are really good. The pic looked good so I said sure ship some of those chicken wings in too. 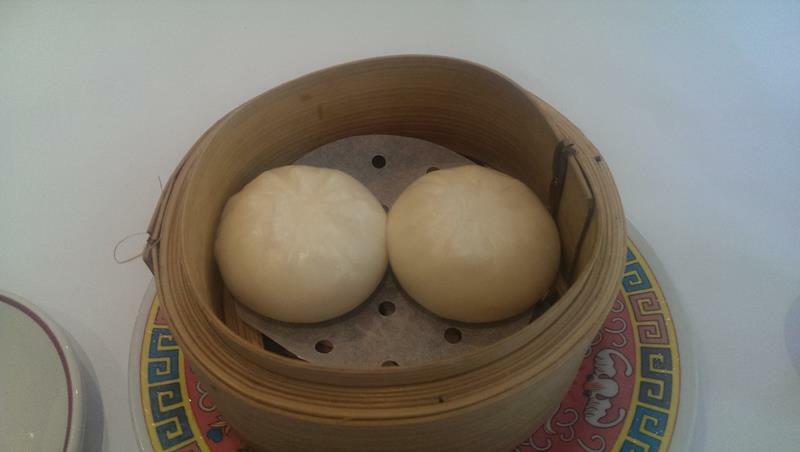 If you read any of my other reviews on this site you would know I rate my yum cha by the quality of their steamed BBQ pork buns. These came out first and I was damn disappointed. Instead of large white fluffy buns with a tasty bbq pork inside these were small round firm rolls with a little bit of pork and not alot of bbq taste. They lost big marks for this. 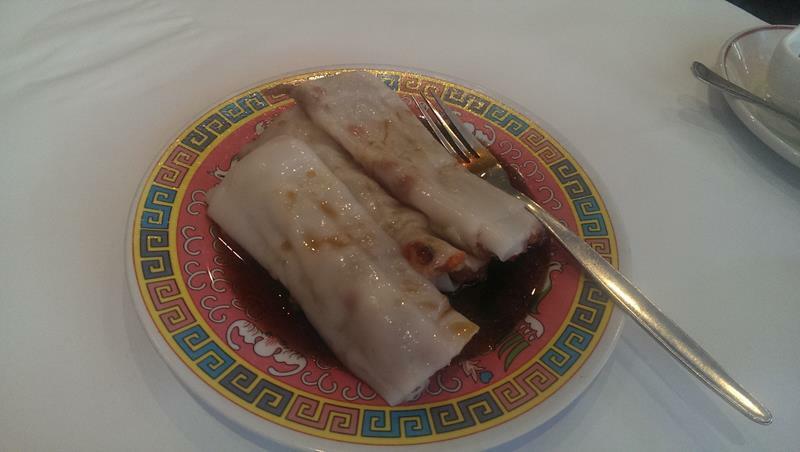 Next came the rice noodles with pork inside. Again disappointed. 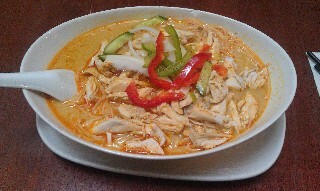 The rice noodles were all crumpled and didn't look too good. 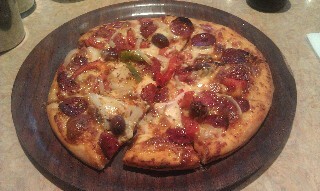 They tasted ok but just had little bits of pork inside. Then came the steamed prawn dumplings which were quite good. Then outcame the chicken wings which saved the day. They were all golden and crispy and quite large sized chicken wings. These came with a sweet chilli sauce which had more chilli bite than sweetness which I liked. 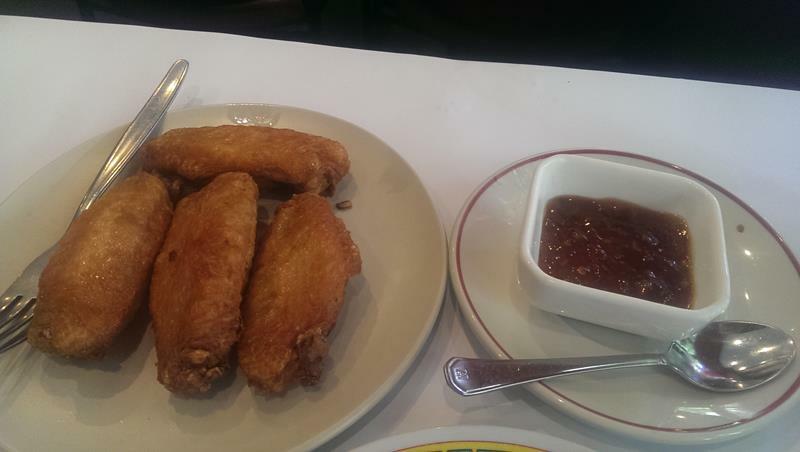 I devoured the 4 chickens wings and sat back sipping my Chinese tea, watching the people stroll by. 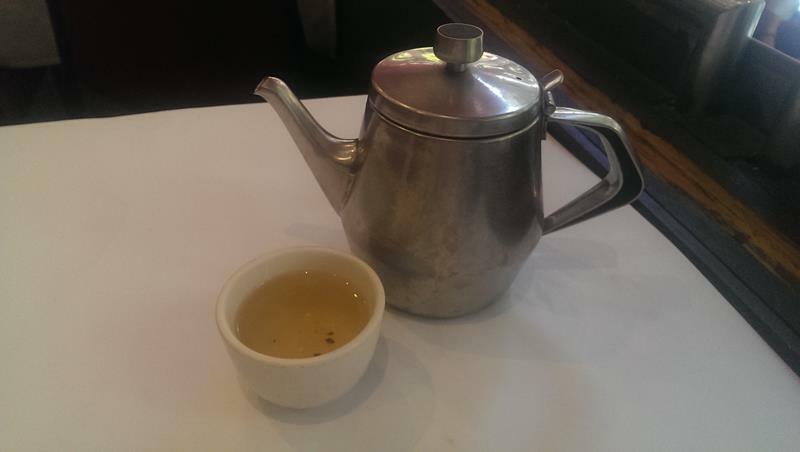 I was disappointed about the Yum Cha but overall I really like this restaurant. 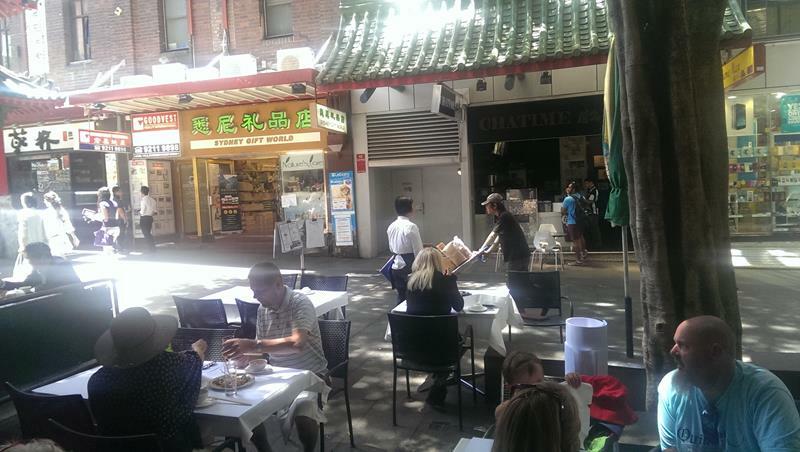 There are very rarely Chinese people eating here, most Aussie tourists from other Australian cities visiting Chinatown. I would say they serve up traditional Aussie Chinese food - Sweet and Sour Pork, Honey King prawns, Sizzling mongolian lamb - all good time favourite Chinese meals from my childhood. The service is great. The waitress and waiter then served me were both friendly. 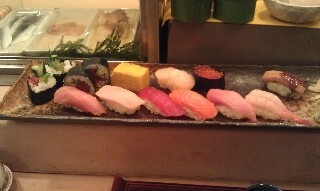 The waiter kept coming over and clearing the plates as soon as I had finished a dish. After eating my first chicken wing I was looking for a napkin which wasn't on the table. I looked over at the table next to me and saw they had napkins. Before I could call him over to get me a napkin I saw him walking over to me with a napkin in his hand. 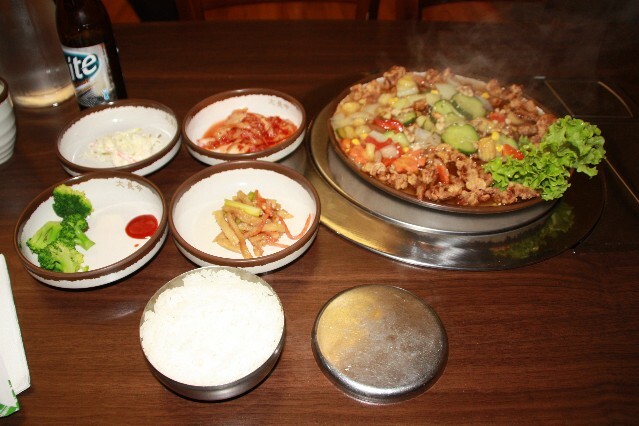 I saw him serving up a sizzling mongolian lamb dish and quickly pulled out a napkin and covered it over the lady's purse so it didnt get spattered. This was very good service in my opionion. On the way out I thanked the lady who had suggested the chicken wings and said how good they are. She beamed with pleasure with a big smile and said I told you they were good! I will be back at New Tai Yuen though next time I will pass on the yum cha and chow down on some yummy sweet and sour pork and ofcourse some more quality people watching.